The last couple weeks I got some stuff done (like I had an article published an article in the Capital City Weekly), and made progress on other stuff, but not without the obligatory productive procrastinating. For instance, I finally made use of the instrument hanging hack I learned from my friend Rhonda. If you’re like me, and you’re house is filled with stringed music makers that are safer off the ground, you may want to try this too. I made two in less than five minutes (after thinking and procrastinating and collecting the right materials for weeks). 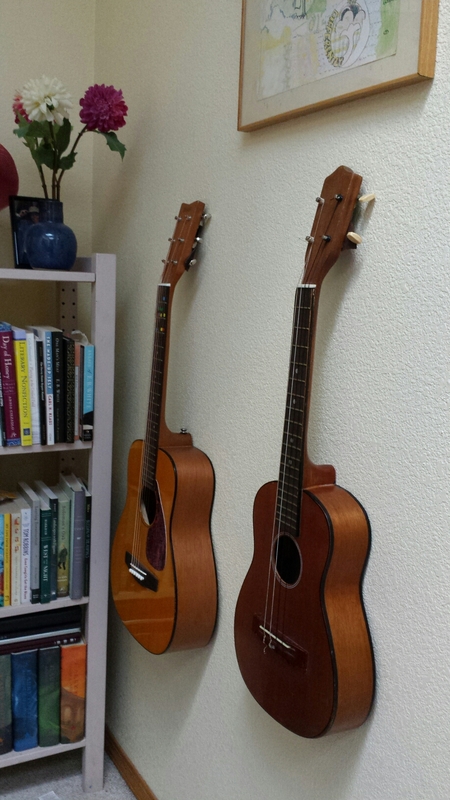 The first two I hung are Jay’s guitar and baritone uke, and now, voilà! They’re still within his arms reach, and won’t get accidentally kicked over. Hang the picture hangar where you’d like your instrument to rest. 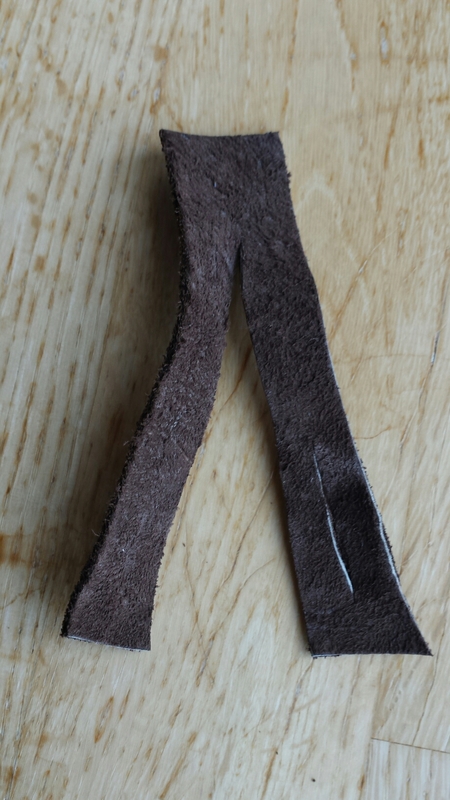 Cut a piece of leather about 1.5″ wide and 4″ long. Then cut it in half but only 2/3 of the way, making two ends. Then fold and snip a hole in each end big enough for a tuning peg to fit though. 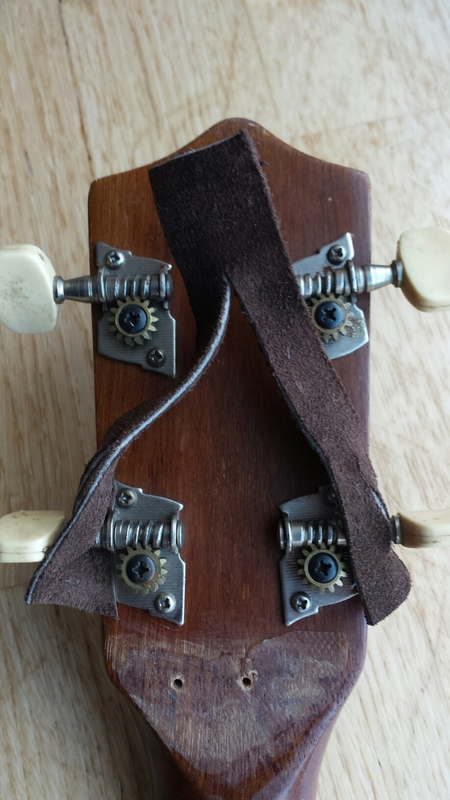 Slide each end over a tuning peg. 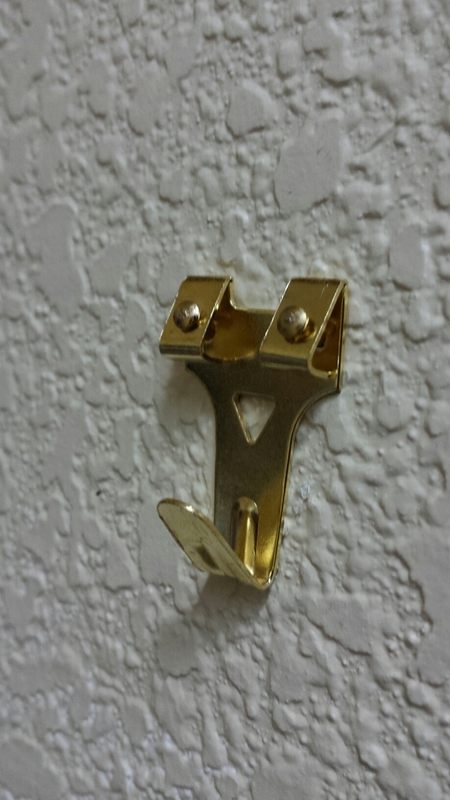 (I chose the lower peg so the strap itself won’t show on the wall). Hang your instrument on the wall. That’s it!